As we have learned more about what the political party corporate government has been doing to deny our Commonwealth of Australia Constitution Act and Common Law, one of the biggest problems we face is what to do about the unlawful Local Councils…masquerading as “Local Government”. reviewing the Land Rights Act. We have prepared a letter in MS Word format that we are urging everyone to download, fill in the details printed in Red, apart from the words in Red Bold (change the color to black after you fill in your details) and send it to your local council Mayor…or CEO as they now call themselves. They are, after all, CEO’s of a corporation. I, Your Name, am an Australian with one share in the company of the Commonwealth of Australia Government. I do not have any shares in THE AUSTRALIAN GOVERNMENT corporation. This is to inform you that I have detected many apparent attempts to circumvent the laws of the Commonwealth of Australia Constitution Act by your organization. I am writing to you to clear up the following questions so that I may learn how best to deal with you and your organization. Bear in mind, every Local Government Act is invalid as result of 3 Referendums shown below, so you cannot quote any of those Local Government Acts, which has no authority under the law. CEO Name – Subject to you refuting all the items below, I will consider whether I am able to do business with your organization in the future, should you attempt to contract with me. If you agree with any item simply say yes. If you disagree, please document your reason. Your non-response will be considered as your acceptance. I plan to publicise your answers for all to see. 1) HCA 11. 2015 … “If you have an ABN and provide services for money, you are a Trading Company” That cannot be changed or over-ruled by any Statute or Act. The ATO classes Local Governments and Councils as ABN Trading Companies. Fair Work Act Sec 35 … “If you have an ABN and you employ people, you are a Company”. Companies require a written contract with full disclosure to do business with anyone. If a State Government tries to establish a local Government (ABN Company), that ABN company is automatically is regarded as a private corporation and it, therefore, cannot be a part of Government. 2) Prior to 1900, there were no States, they were known as Colonies and were all independent under British military law. Those independent Colonies had agreements for trade, etc under the Federal Councils of Australasia Act 1855. As free settlers began to grow in number, the People decided to unite under one form of government. Years of conventions and referendums were held and in 1898–1900 culminated in the Draft Constitution of the People which went to England for ratification. 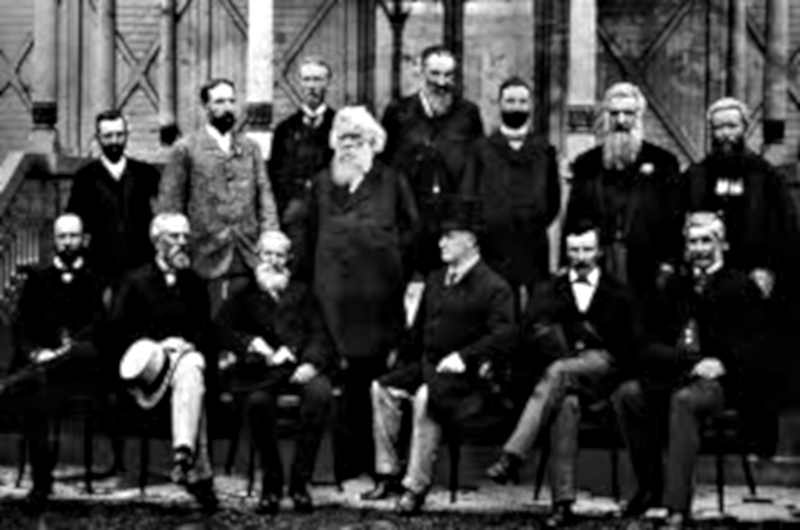 On July 9, 1900, Queen Victoria signed the amended draft Constitution and returned it to Australia. 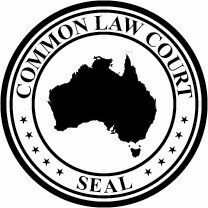 It was approved by the people and The Commonwealth of Australia Constitution Act 1900 (UK) was brought into Australian law on 1st January 1901 to become the Founding and Primary law for all now named States and Governments, Courts, Police and People, over and above anything in previous State or Colony laws. Yes/No ….. Item 2 … disagree because …. 3) The states DID NOT AND STILL TODAY DO NOT have any Authority nor power to make Acts or Laws that are NOT MENTIONED within the Commonwealth of the Australia Constitution Act, PERIOD…. Sections 106, 107, 108, and 109 CREATED THE States. Read them, they are ALL bound by Clause 5. The Parliament has no powers except those given by us, the people of the Commonwealth of Australia. I cannot add new laws nor give any powers to States or any private company without Referendum and then it must be Proclaimed and gazetted showing the dates of such. Thus, State Governments have no authority to create any laws which contravene anything in the true Commonwealth of Australia Constitution Act. Nor do they have powers to give to ABN companies any powers the State does not have. Section 109 removes the “anything” and everything whatsoever in any previous Acts regarding Local Councils being any part of government. They remain to this day as private ABN companies – nothing more. 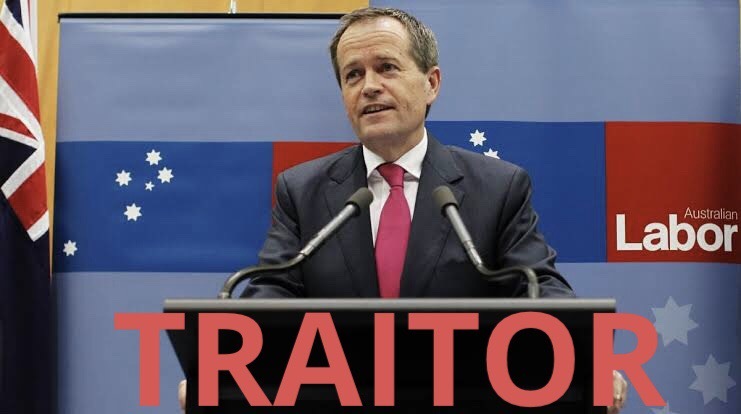 Section 109 also nullifies every new “law” since 1900 in any State contrived “Local Government Acts,” (none of which have been lawfully proclaimed, nor gazetted, nor approved by Referendum, including the notorious Australia Act 1986.) THIS IS SPELLED OUT CLEARLY IN – Sec 9A of the Acts interpretation Act 1954 which is still current. Yes/No ….. Item 3 … disagree because …. 4) Local councils are registered on the Stock Exchange as private companies and thus as private companies have no authority under the constitution or legislation to act in any capacity, or enforce any legislation or other functions whatsoever, including no authority to impose taxes disguised as fines for anything, including parking, licenses for animals, or Land Tax Rates. Treasurer Peter Howard Costello & Commissioner for Taxation Michael Joseph Carmody all stated before the introduction of the infamous GST “Goods and Services Tax”, Quote: “Local government Council Rates will attract no GST because Council Rates are a tax and we can’t tax a tax”. Therefore, your organization falsely claiming to be a government body does not have authority to collect taxes. Clearly in sections 51 and 52 of the Constitution and from the Constitutional Commission (1985 – 1988) Report that “The power of taxation is held exclusively by the Federal Parliament.”, and therefore no states have authority under the constitution to impose a tax. Thus, Local Government does not have the power to impose taxes in the form of fines or land tax rates. All taxes imposed by Local Councils are unlawful and repugnant. The High Court of Australia ruled that “State Governments could not raise ANY TAX”, and because of this the ‘State Excise on Fuel, Tobacco & Alcohol’ was removed. Yes/No ….. Item 4 … disagree because …. 5) The Referendums in 1974 and 1988 specifically asked the people say … Yes or No … to Local Governments (Councils) (some which may have existed in some Colonies prior to 1900) being continued and whether new Councils could be formed …. the continuance of and establishment of …. The people voted an overwhelming NO … thus all Councils that may have existed, became unlawful. They are not a part of Government and are nothing more than Private ABN companies. They pretend to be Government, clearly they are not. Yes/No ….. Item 5 … disagree because …..
6) Then came their next attempt(s) … for Councils to have power over us and to tax us more. The Australia Acts 1985 and 1986 (request Acts only) created the unlawful Local Governments. The real Queen Elizabeth the 2nd signed on the top of the front page of those “Acts”, which means she acknowledged, but she did not sign the bottom. She told Hawke and the Australian Government – “you must ask the people.” So, we then had a Referendum in 1999, where those 2 Acts and everything in them were overwhelmingly rejected. Thus the inclusion of Local Government – (Local Councils) as a third tier of Government was rejected and they remain unlawful today. They are nothing more than ABN private companies. Their CEOs are not elected and they are answerable to no one, except their UN bosses, yet they control and manipulate the local Councillors. Yes/No ….. Item 6 …disagree because …..
Yes/No ….. Item 7 … disagree because …..
8) Every State created a Local Government Act by joining the Commonwealth of Australia as a sovereign, independent and federal nation enforced in the Australia Act 1986 Commonwealth. Yes/No ….. Item 8 … disagree because …..
9) In the 1999 Referendum, we the people also voted to remain a Constitutional Monarchy – We are not a democracy (mobocracy). A lynch mob is a democracy – the majority wants to hang the minority. 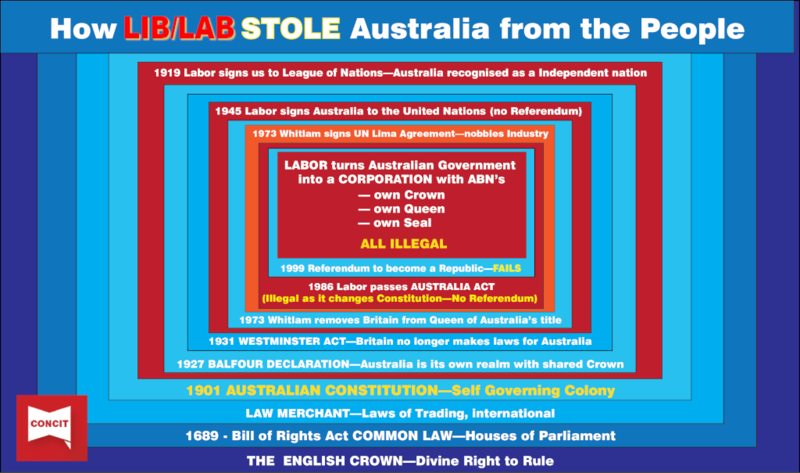 WE, the People of the Commonwealth of Australia remain a Constitutional Monarchy under English Common Law. But above all is God’s law in the KJV 1611. Yes/No ….. Item 9 … disagree because …..
10) The Political Parties have had their 3 attempts at getting the Local Governments through and failed, BUT they still want it. This shows the utter contempt that these Politicians have as they don’t recognize us. A Federal Referendum of the people is an explicitly binding Act on all Governments. This also proves that these Australian Governments don’t represent the people of the Commonwealth of Australia as established UNDER the Commonwealth of Australia Constitution Act 1901 as Proclaimed and Gazetted. When Governments don’t listen to Referendums they enact TREASON upon themselves. Yes/No ….. Item 10 … disagree because …..
11) Section 128 of the Constitution provides that any proposed law to alter the Constitution must be passed by an absolute majority in both Houses of the Commonwealth Parliament. If passed by both Houses it is submitted to a referendum at least two months, but less than six months, after it has been passed by Parliament. Under the superior Imperial Law – Transfer of Land Act … transfers land from the Crown to you in Fee Simple. Only a Jury of 12 can order removal of ownership: Clause 39 Magna Carta. Magistrates can only be appointed from a pool of JP’s. In Referendums 74 and 88 we said no continuance – no establishment – no empowerment – Councils have no lawful right to exist. Yes/No ….. Item 11 … disagree because …..
(b) the judicial power is the judicial power of the Commonwealth. The 1999 Referendum removed the Australia Act 1985 and 1986 and all Acts regarding Local Government, and the attempt to establish a Republic. All Council Staff, CEOs and Councillors are accessories to the Crime and guilty of Misprision of Treason. Yes/No ….. Item 12 … disagree because …..
Ye/Nos ….. Item 13 … disagree because …..
Sir/Madam CEO Name – subject to you refuting all 14 items, I am happy to consider any future written signed offers and quotes for services your company offers. AD [day] [month] [year] WITHOUT PREJUDICE, Malice, Vexation, Argument and or Merriment. Google the address of your local council, print out the letter you have downloaded, sign and mail it to the CEO (Mayor). Let’s flood their offices with letters informing them that they are not lawful servants of the people. How & When did the Government Commit Treason? Who voted against the farmers? Next post Has the GG Just Dismissed the Un-Lawful Government?